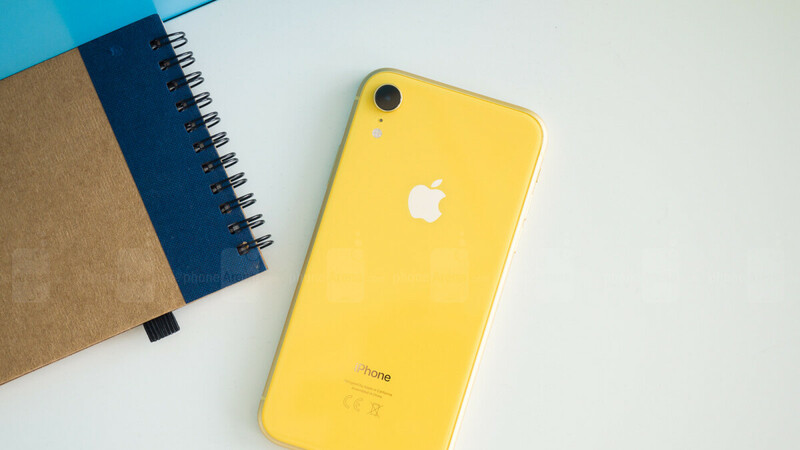 Apple may have made a boatload of money in the July - September 2018 quarter, managing to considerably boost its share of US smartphone sales before the iPhone XR was even released, but it’s not all rosy in the Cupertino camp. If it wasn't already obvious enough, the worldwide leader in smartphone profits is bracing itself for a potential drop in overall unit shipments this year compared to the previous holiday season. That’s going to prove particularly problematic for Apple during the year’s fourth calendar quarter (the company’s first fiscal quarter of 2019), as the lower-cost 2018 iOS handset was widely projected to outsell its pricier OLED screen-sporting siblings. While the iPhone XS and XS Max could now exceed certain internal and external expectations, the family’s ASP (average selling price) might be held back by steady iPhone 8 demand and an unforeseen resurgence in iPhone X popularity. Specifically, Rosenblatt Securities Managing Director and top research analyst Jun Zhang foresees an iPhone X production ramp-up of between 1 and 2 million units for the holidays. But iPhone XR numbers could drop by as much as 4 or 5 million units in addition to an already drastic first round of order cuts. Then again, it’s important to highlight this second production adjustment is probably caused by a combination of factors. Apart from relatively weak demand, a very specific quality issue with a paramount component may be prompting the additional reduction. Skyworks, a US-based supplier of semiconductors, reportedly failed to meet Apple’s famously stringent quality standards for printed circuit boards (PCBs), which made the smartphone manufacturer “quickly drop” its orders. Still, iPhone XR demand is at least partly to blame for these repeated manufacturing cuts. If they lessened the specs just a bit and kept the price to $500 unlocked, it would have been good. That or Apple just wasn’t meant to sell “budget” devices. Apple & “budget” devices? Lol. Two words never to be used together. iPhone 5C?? C stood for cheap... remember?? Cheap? Lol 600 euro for 16 gb in 2013 how was that cheap? Just what part they can "lessened"? Most of XR specs is already below average flagships out there. Yeah right like the secure Face ID, the high end chipset, great battery life and a great display as fas as brightness and color gamut go. The only thing i could see as a downside is the “low” ppi and 3 gigs of ram but that is also debateable. The only thing "lessened" is the display. The A12 chip stomps every Android flagship. It's similar to the difference between a Toyota and a Lexus. Both are made by the same company but are targeted at different customers. The problem for Apple is that their Lexus came first, so the Toyota is seen as an inferior Lexus rather than a good, serviceable product on its own. These investors have no break. Off-topic. Since Apple has removed the 3.5mm jack from it's latest iPad Pros and they seemto be all about USB-C now, I was wondering what if.... ....they had a 2nd USB-C port?! Wouldn't that be awesome. There's obviously space inside the new Pros for a 2nd port and it wouldn't require Apple to bring the jack back, while keeping customers happy (somewhat). How 'bout it guys? They know it will be useful for "some" users, but they just won't listen until they get massive backlash. Like when they put only one port on MacBook (2015), now they put more than that (and even 3.5mm jack) on the newest MacBook Air. We've brought up that concept before...two USB-C ports - one for charging and another for wired accessories (headphones etc). It would only make sense, but OEM's care very little about what we want...we are supposed to cave to what they say is the 'new' and 'courageous' way of doing things. That's why we have no headphone jack, no swappable batteries, an ugly notch...it never ends. Who will buy this crap?! It is more expensive than mate 20 pro here in dubai!!! Who will? Definitely not you, that phone costs more than what you earn feeding camels in Dubai. Highly unlikely. You're rich when born in Dubai. I mean... A Caveman could've predicted this. So why didn't you predict this earlier? These stories seem to come earlier and earlier every year. We should see a record price per device this year though.